Jefferson Memorial Hospital has proudly served all of our patients with the highest level of personal medical care, and in doing so has been honored by many professional organizations and ranked among some of the finest hospitals in the country. The WV Breastfeeding Alliance has recognized the Birthing Center at Jefferson Medical Center for their leadership in providing the best newborn nutrition possible by encouraging and supporting breast feeding in the “Ban-the-Bag” initiative. The WV Perinatal Partnership has recognized the Birthing Center at Jefferson Medical Center for their leadership in implementing and participating with multiple First Baby initiatives such as “Skin to Skin” Kangaroo Care immediately following birth and a reduction in first time mother cesarean section rates. Jefferson Medical Center was named one of the Top 100 Critical Access Hospitals in the United States for the second time since 2014. The study, conducted by IVantage Health Analytics, compared factors such as quality and outcomes, patient safety, costs and charges, and patient satisfaction in rural and critical access hospitals nationwide. Jefferson Medical Center has earned The Joint Commission’s Gold Seal of Approval® for Hospital Accreditation by demonstrating continuous compliance with its performance standards. The Gold Seal of Approval® is a symbol of quality that reflects an organization’s commitment to providing safe and effective patient care. 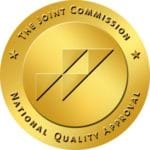 Inspired by the desire to elevate its standard of care and instill confidence in the community it serves, Jefferson Memorial Hospital has earned The Joint Commission’s Gold Seal of Approval® for accreditation by meeting or exceeding The Joint Commission’s national standards for health care quality and safety in hospitals. Jefferson Medical Center serves as an American Heart Association Authorized Training Center. From general preparedness trainings, like CPR and AED, to more advanced continuing education for healthcare professionals, Jefferson Memorial Hospital offers any medical training course you need. 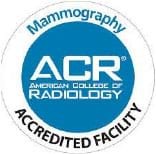 With the addition of our new Selenia Dimensions digital mammography machine, Jefferson Medical Center has been awarded accreditation in Digital Mammography by the American College of Radiology (ACR). The first of its kind in the state, the machine produces 3D images that are changing the way we treat breast cancer. 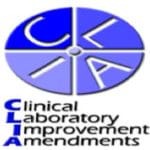 The state-of-the-art labs at Jefferson Medical Center have been certified by the national Clinical Laboratory Improvement Amendments (CLIA) standards, ensuring quality, accurate and reliable of laboratory test results. Jefferson Medical Center’s laboratory has been awarded accreditation by the Accreditation Committee of the College of American Pathologists (CAP), making it one of more than 7,000 CAP-accredited laboratories worldwide that adheres to the highest standards of safety and equipment management. A newly designed 18 bed Level IV WV designated Trauma Center staffed by Emergency Medical Associates with Board Certified Emergency Physicians and Midlevel providers. The nursing staff are all emergency and trauma trained. “Our Family Caring for Your Family” You can contact the department by calling the main emergency number @ 304-728-1642, the Emergency Department Medical Director, Dr. Marney Treese @ 304-728-1748, or the Emergency and Trauma Nurse Director, Denise Carter RN, BSN @ 304-728-1701. We are here to serve you!